Our Candor Coaches, myself included, frequently field questions about how to apply the principles of Radical Candor beyond employee-manager relationships. Often we are asked how to practice Radical Candor with clients. 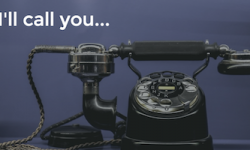 Similar to the old adage that’s been instilled in us since kindergarten, “if you don’t have anything nice to say, don’t say anything at all,” many operate from the idea that “the client always knows best.” Unfortunately, this can sometimes be a straight line to Ruinous Empathy — when you care personally about someone, but don’t challenge them. For example, you see your client making poor decisions that don’t align with their goals, but fear of damaging the relationship keeps you from speaking up. A new study, “The State of Client Understandings,” from Capital Preferences, T. Rowe Price and the Financial Planning Association, found that financial advisors who took the time to get to know their clients and actively challenged them, while also showing they cared, had significantly higher growth opportunities and better client relationships. In short, these successful advisors were practicing Radical Candor — Caring Personally while Challenging Directly. And while this study focused on financial advisors, the data could be applicable to anyone who interacts with another person in an advisor or mentor role — teachers, lawyers, coaches, etc. These planners are essentially skilled facilitators with unprecedented depth of insight into client behavior. Think of it like this. If you seek out an advisor, teacher, coach, attorney, etc., it’s because this person has expertise that you lack, and you need their guidance to meet a particular goal. If your advisor operates from the Ruinous Empathy quadrant, they will defer to you because they might fear that challenging your ideas will hurt the relationship. In reality, the opposite is true. Maybe you’ve heard me talk about Bob, an employee I hired at one of my start-ups. Despite having a stellar resume, Bob was doing terrible work. Instead of letting Bob know that his work wasn’t up to par, I picked up his slack and failed to offer him the feedback and guidance he needed to improve. Because I was operating from a place of Ruinous Empathy, I left a lot of important things unsaid. Just like financial debt, or technical debt, there’s also “feedback debt,” and that’s what I was creating with Bob. I ultimately had to fire Bob or risk losing the trust of my entire team. So, not so caring after all. Bob’s first reaction was, “Why didn’t you tell me?” The short answer: I didn’t want to hurt his feelings. But by not seizing the opportunity to utilize “constructive tension” — taking on a difficult conversation when Bob wasn’t meeting his stated objectives — I created additional problems that might have been solvable had I offered guidance as soon as I noticed there was a problem. Now consider you’ve put your financial security or the outcome of a legal battle in the hands of someone you assume has your best interests at heart. Perhaps you make suggestions, but of course you want the guidance of the expert you’ve hired to ensure you’re on the right track. If your expert is operating from a place of Ruinous Empathy, and isn’t challenging hair-brained ideas that won’t move you closer to your goals, you could lose a lot of money, your court case, etc. The study encourages advisors/mentors to see tension as opportunity, and found that clients prefer those who point out contradictions between their goal statements and actual behavior. Basically, they want someone who will both Care Personally and Challenge Directly. Someone who operates from a place of Radical Candor. The study found that those who look to quickly resolve tension instead of using it as an opportunity to support their clients by offering guidance are less likely to be recommended to others. This is no surprise — would you recommend someone who allowed you to make a poor investment just because they didn’t want to challenge you? While my book focuses on how to create a culture of Radical Candor at work, Radical Candor can be applied to most any relationship. This study backs up one of the most basic principles of Radical Candor — when you approach your relationships from a place of Ruinous Empathy, you’re not just unintentionally sabotaging the other person — you’re also hurting yourself. 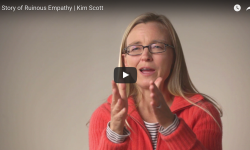 Kim is the co-founder of Radical Candor and author of "Radical Candor: Be a Kickass Boss without Losing your Humanity." Kim has built her career as a leader at Google and Apple and as an advisor at numerous other Silicon Valley companies. Her goal is to help people love their work and their colleagues (appropriately of course).